From an astrological perspective, this midpoint in the Mars retrograde period is very significant. The reason is that Mars is closer to the earth than at any time in its two-year cycle which creates what is called a ‘sensitive point.’ This point can create events both now and in the future when other planets touch this newly created point. When it does, more will be revealed of the ‘intention’ of the present cycle. Another way to sense the importance of this transit is to see it as an indicator of great tension and stress. The good part of this is that it can force us to take action or to really examine what approach we need to take in life and gives us the Will and desire to make the appropriate changes. But, that doesn’t mean it won’t be difficult. This is a time to make changes in our approach, which means that we are being encouraged to do something that is truly new for us. That tells us that there may be some resistance to this new way of looking at things. Another way of seeing this is to remember that Mars has been retrograde for 5 weeks or so and is now in full effect. We are seeing the results of all that has been building up to this point. So, let’s look a little deeper at what we’ve learned about Mars retrograde so far. The following is written from what I’ve witnessed myself and heard from students, clients and friends. Virgo rules among other things issues of health and the healing process. I have been seeing many cases of people dealing with all sorts of health issues. With Virgo ruling the intestines and digestive system, I’ve seen people diagnosed with ulcers and other stomach issues. Others are reminded of the importance of getting the preventative care needed such as colonoscopies (intestines) and endoscopies (stomach). Since Mars rules the blood and the principle of cutting (surgery), others are being forced to deal with blood problems, which can be quite serious. This will include blood diseases as well as the need to deal with mundane things like blood pressure issues. Also, in general the entire body may be under greater stress than normal, revealing chronic conditions that have not been recognized until now. Virgo rules the principle of analysis and refinement. While Virgo is often regarded as the critic and it certainly is capable of going there, Virgo does best when it focuses in on how to refine something. By refine, I mean to engage in a process where the ‘essence’ of a thing, or of an idea or concept, can reveal itself. This revealing is an opening of its own essence to a person. One can think of it as something that is ever-present, but not seen until one engages with it in such a way that it can disclose itself to us. This is when we must participate in the process of opening, meaning we must open to it. But, Virgo is capable of finding ways to improve or enhance that process, for oneself and others too. It is a potential skill that Virgo has, but it must get out of its own way before that skill can emerge. It does this by avoiding negative emotions such as worry, self-criticism, etc. Another word for ‘essence’ is ‘purity.’ It is the ability to see something as it is, but not simply in a mere mundane way. I know this is hard to describe, and the truth is that philosophers have tried to go into it for ages. Maybe an image for this is that refinement can be seen as a process that leads us to the magical seeing of something in its fullness of expression, such as when we look at a room that has been painstakingly put together and we suddenly see it as a Whole. We find that we can see the room as more than the sum of its parts. Some might tell me that this is what Pisces does, but I see the signs in terms of polarities, meaning that to understand Virgo, we must also know about Pisces and vice versa. Virgo and Pisces are two sides of the same coin. They evoke each other. To express one side really well requires that the other side also be expressed well. I am saying this not only because it reflects how I see the world as well as my own Sun sign, which is Virgo, but also to let you know that this Mars retrograde has been focused on this very theme for the entire cycle. 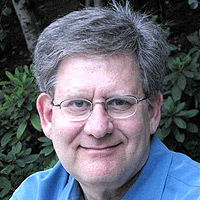 For example, I am asking questions such as, “How can I refine my thoughts so that when I teach, I am able to pull down these archetypal images in such a way as they have a good chance to become ‘real’ to my students?” It often feels more like an art form, rather than simply the presenting of mere data. And I think it is artistry, if art refers to the process of revealing something that is both self-evident as well as unseen. Yes, something can be both self-evident and unseen. Why? Because we are perceivers and just because something is in front of us does not mean that we can ‘see’ it. This is the art of engaging in a process of revealing of ‘essence’ and this is what Virgo is capable of due to its sensitivity to the world. Ask yourself how well you are truly ‘seeing’ that which is right in front of you. That kind of question and others like it is what Mars retrograde can be concerned with. So often we see astrology only in terms of events. We focus on what happens to us as if the naming of a particular event can tell us what it means to us. But, we human beings are “meaning-makers.” We determine what events mean to us and how we process that experience. There are nearly an infinite number of different ways we can process an event. What a Mars retrograde cycle can aid us with is the importance of understanding this fact. This can free us up to take great care in how we process the events that happen to us each day. And, by engaging in this way we can can live a more ‘magical’ and full life. We would love to hear how you are being affected by this Mars cycle and welcome you to share it. Thanks for your site. I turned 50 on Jan 30th as the cycle started. The event was marked by a disastrous falling out with my father, which left me shocked and hurt. A week later i started a creative project which has just gone public (a theatre show) with a great reception. Directing theatre, working with performers and text, creating performance – these are activities i get huge enjoyment from, culminating in sharing something archetypal, charged and entertaining with an audience. So 5 weeks of Mars retrograde has thrown up these two situations, with very different tensions. I have no idea what follows! I too am a Virgo, and I have spent at least the last five weeks working on my diet and nutrition. Turns out I am gluten-intolerant, so I’m dealing with digestive issues in a completely new way. What?? I have to give up wheat, i.e., bread, cake, cookies, pasta, etc.??? Yep. It’s a big one for me. And I find that if I cheat, I pay for it. So, time for me to get real about how I nourish my body! I’d call this a huge health wake-up call! This description of Virgo is one of the best I’ve seen. I have Virgo / Pisces dynamics in several ways in my natal chart, and “looking for the essence” of something hits the nail on the head. It describes what I’ve been doing and what I continuously do in many different arenas of my life. Mar Rx in Virgo has me juggling two situations in my life (just like Matt) to discover the essence or meaning behind them. The first is a relationship (in which the person has Pluto in Virgo at 9 degrees). This man is my best friend and lover, but it’s not quite looking the way I want it to look. Meanwhile, I am asking myself questions about how I process events. It seems the way I am processing situations with him, is not how he perceives them at all. I am constantly thrown into a loop of self-doubt, wondering what is it that I’m not getting or “perceiving” every single time. I am doing this to determine if the relationship is really worth my time in terms of committed lovers. Interestingly, we are both involved in a art movement in our community (Pisces), but two separate but similar projects. His understandings aid my understandings, and vice versa. We are both digging in and finding meaning in what we are trying to accomplish. However, in my case–a business–what is revealed to me determines whether I can make my project practical. Hence, Pisces v. Virgo. How do you make an art business project practical and worth your personal time and energy spent. What is the practical material return? 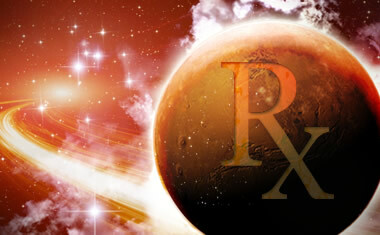 Thank you for your articles on Mars Rx. While not being able to immediately perceive the unseen can be frustrating, learning to enjoy processes has been my personal growth focus. So, all is working together for my higher good. Thanks, again! This Mars Rx has affected me on two fronts. I have determined to lose weight and get back to a healthy regimen which started a week before the retrograde. The other factor with my Sun and Mercury in Virgo in the 9th house, is a renewed commitment to my astrology practice and following my heart’s desire to serve others, share what I have been taught (by you) and express in my own voice how astrology can be a path to living a successful life however that is personally defined. I enjoy your interesting and insightful articles. You mention weather…C. C. Zain wrote the book “Weather Prediction” and Mercury is the chart for wind; when Mercury enters a new sign, a chart is set up for that moment. Mercury entered Aries (Mars’ sign)on March 2, 2012 and we had 101 tornados through the mid and SE part of the country. I always set the weather charts up for my city and then relocate them to other places around the country, especially when I hear of particularly unusual weather at that location. For the mid and SE parts of the country, Neptune was on the ascendant of the wind (Mercury ingress) weather chart. Per C.C. Zane regarding Neptune on the ascendant of a wind weather chart: …heavy aspect to the ascendant not only increases the volence of the storym but brings unusual phenomena.” 101 tornados in a day is definitely unusual. The other weather charts utilized are when the Sun enters the Cardinal signs (the beginning of each season)and that chart gives an overview for the season in general and temperature in particular. The Moisture chart is set up for the new, quarters and full moon. Keep up the good work with your articles.